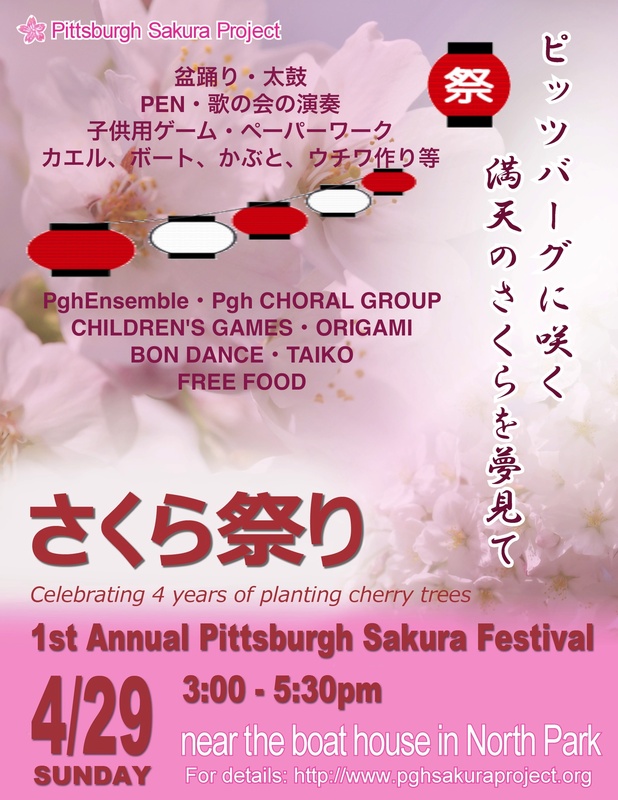 Join the Pittsburgh Sakura Project in North Park for their first annual Sakura Festival. There will be several performers, including Pittsburgh Taiko! The Pittsburgh Ensemble, Pittsburgh Choral Group with also perform. There will be origami, bon dancing, children's games and free food!